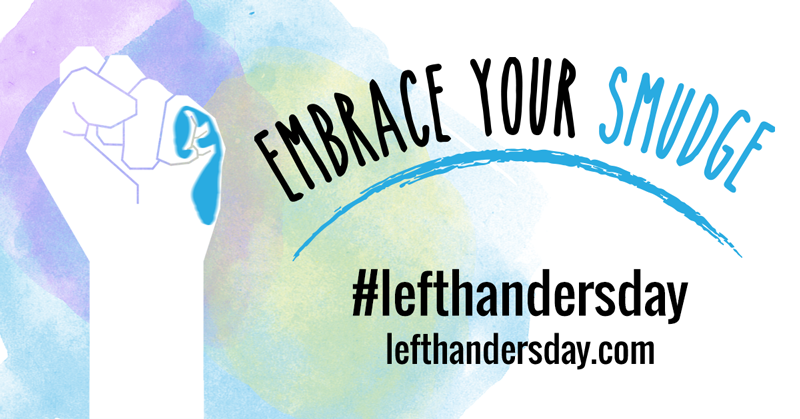 Happy Lefthanders Day to any other lefties out there! Yes, people really say that! I’m one of the lucky ones who didn’t have a particularly hard time growing up left handed. It’s in my family, so both my Dad and my Granny, who are also lefties, taught me to do things like tie my shoelaces and knitting. Not that I can knit these days, but that’s another story. But it never occurred to me until quite late on in life that right handed people didn’t have to deal with the smudge! 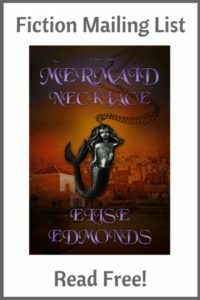 Thankfully, I managed to write tolerably well, and these days I can type way quicker than write anyway. Being a leftie on the computer is great, because you can have a left handed mouse which discourages anyone else from using your computer! I’m an ambidextrous mouse user so I can use theirs quite happily – win! I’m always thankful I was never in the generation that were forced to be right handed. I’m not quite sure how my Granny got away with it. She must have had an understanding teacher. Left handedness was never an issue for me in school sports either; it turned out I was equally bad whichever hand I used. Never mind, hey. As an adult, I did come across some unexpected issues with being a leftie. Those stupid vegetable peelers which only peel right handed. And kitchen knives slanted on only one side. Oh, and those useless butterfly tin opener things. Talk about first world problems! 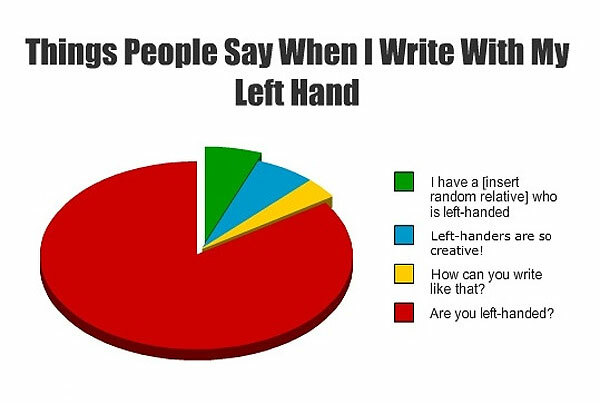 I had honestly never thought about what it’s like to be left handed. It’s really interesting! Righty here. Lefties are more likely to suffer traumatic injuries . . . because everything is designed with righties in mind. There’s probably a good untapped market for a small business making everyday things for lefties. Yep there are specialist lefty shops. They tend to have small items like mugs and rulers and scissors. I have had sharp knives slip when using them because they’re designed for righties. Loved your post! I was born a lefty but I was forced to use my right hand. It was a bad experience I hated it. I grew up using my right hand to write, but my left hand was never dormant. Whether I like it or not, there are certain things I can’t do with my left. Eventually, I to gain back a piece of me, I made sure to use my left hand whenever I have a chance and also re-learned how to write my left again. I’m lefthanded, but I’m ambidextrous maybe because of my piano lessons. Being able to use both hands gave me more benefits. 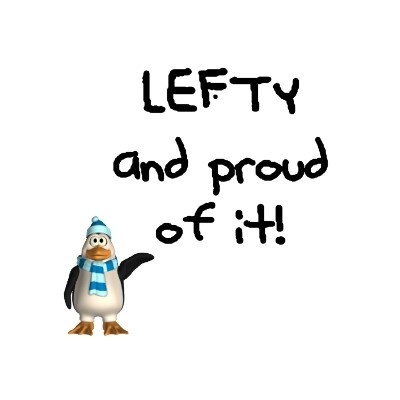 I want to raise the flag for the lefties. That’s scary that even today people are sometimes forced to be right-handed. I’m glad you managed to regain some of that skill. I’ve always thought that both playing the piano and typing have helped to make me more coordinated.